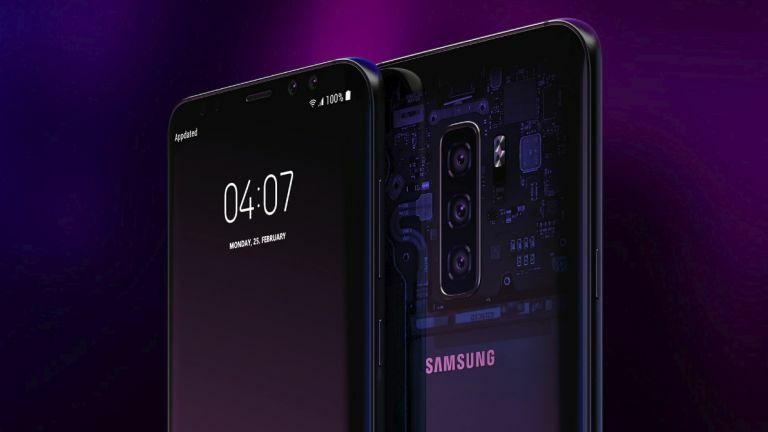 The Samsung Galaxy S10 is set to excite when it launches in early 2019 but it will not be the first phone launched by the South Korean maker to feature 5G connectivity. Samsung CEO, DJ Koh, speaking at the Unpacked event that saw the Galaxy Note 9 make its appearance, teased some future Galaxy S10 details and revealed that the Galaxy S10 will not be the first 5G phone released by the company. Whether this means the S10 won't feature 5G, or that another 5G Samsung phone will be released earlier than the S10 next year, remains to be seen. It's entirely possible that Samsung's folding phone, the Samsung Galaxy X, will be Samsung's first 5G phone. That would explain why the S10 won't be where Samsung debuts 5G as the Galaxy X is widely expected to be announced ahead of the Galaxy S10. Then Samsung could launch its second 5G phone – the S10 – a few weeks later. Another scenario is that the Galaxy S10 won't feature 5G at all. Why might that be the case? It would almost certainly be because of overheating issues caused by a 5G module. In this scenario, the Galaxy X could still be the first 5G phone from Samsung or the company may decide to wait until the release of the Galaxy Note 10 in August 2019 to implement 5G. Given that Huawei, Sony and others are rushing ahead to bring 5G phones to market, we're not sure Samsung would want to wait that long, though. Naturally, any new new 5G handset from Samsung may be designed differently to current phones in order to withstand the intense speed processes. This could mean a giant battery, super efficient CPU and less glass and metal in favour of more breathable materials. DJ Koh said that the company was "focusing on developing innovations that will be genuinely accepted and liked by consumers". We would definitely accept and like 5G connectivity in the Galaxy S10. However, this could also be read to mean that Samsung only wants to go 5G when 5G networks are fully bedded in. And, since networks will only start rolling out proper tests of 5G connectivity in 2019, it could make sense to hold off on the tech until it has been perfected and won't cause instabilities in an otherwise great handset. The Samsung Galaxy S10 is expected to launch early in 2019 at either CES in January or at MWC in late February. Our money is on the latter.